Welcome to our unique swim program taught year round in the gorgeous indoor Brookstreet pool. 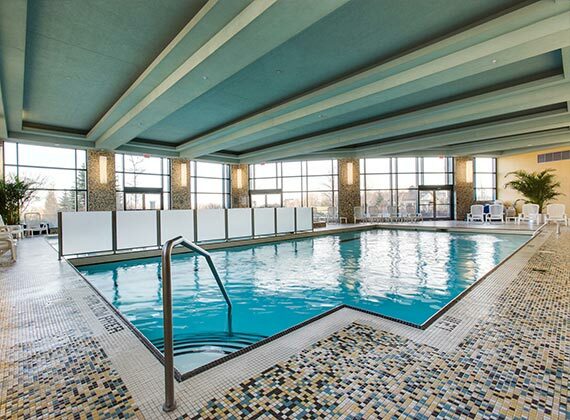 With free 3hr heated underground parking, full locker rooms, an indoor heated pool, small class sizes, professionally trained teachers and a large, beautiful pool facility, this location is a perfect place for you or your child to begin your aquatic journey. This naturally lit, 50ft salt-water pool is heated to a comfortable temperature and the perfect place to join one of our Parent & Tot, Swim 101, 201, 301, Competitive Swim 101 or Adult Beginner or advanced classes. When you’re ready to return to the pool, email support@theaqualife.ca 2 to 3 weeks before you’d like your child to start and we will send you options for available classes. Payment will be processed immediately to reserve your spot, with the payment schedule returning to the 20th in the month that follows.. If there is ever anything you need, please don’t hesitate to send us an email at support@theaqualife.ca or give us a call at (613) 793-0323. Please do not contact any of the venues where lessons are hosted, as they are just the supplier of the swimming pool and are owned and operated separately from the Aqua Life Swim Academy.